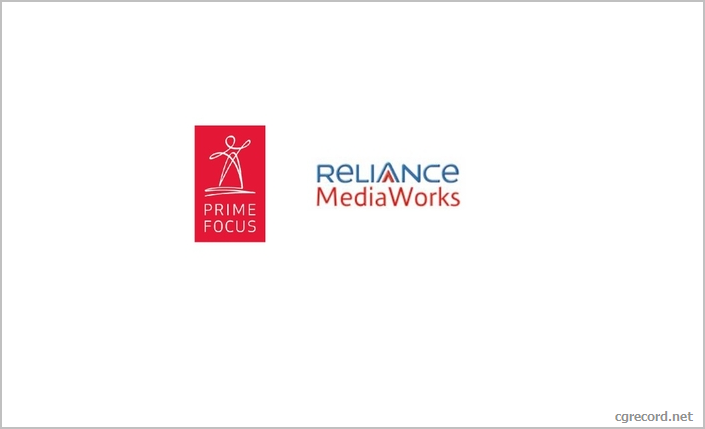 [ #Mumbai ]Mumbai -- Reliance Group, one of India’s leading business houses, and Prime Focus Ltd. (PFL), a global media and entertainment industry services leader, today announced the combination of the global film & media services business of Reliance MediaWorks’ (RMW) with Prime Focus Ltd. The combination of RMW – PFL and Academy Award winning Double Negative, led by Matt Holben and Alex Hope, creates the world’s largest and the most integrated media services group with over 5500 people present across 20 locations offering visual effects, stereo 3D conversion, animation, and cloud-based digital media solutions that transcend the film, advertising and television industries. The combination brings instant benefits to global clients, with new levels of creativity, technology innovation, truly integrated Digital Media Services, unmatched scale, financial stability and sustainability. The body of work handled by the new powerhouse includes worldwide blockbusters and critically acclaimed films, such as The Dark Knight Trilogy, Transformers 4, Inception, Gravity, Harry Potter, and Avatar, to name a few. Equally within India, the PFL and RMW combination brings integrated services to the Bollywood industry from equipment rental, and shooting stages up to final digital distribution - a true one stop service. The combined group will also have the world’s first hybrid cloud-enabled Media ERP platform. This unique platform virtualizes the content supply chain and helps broadcasters, studios, brands, sports and digital businesses manage their business of content, by driving creative enablement, enhancing ecosystem efficiencies and sustainability, reducing costs and realizing new monetization opportunities. Namit Malhotra will be the Executive Chairman and Global CEO of Prime Focus Ltd.
RMW and the promoters of Prime Focus, Naresh and Namit Malhotra, will each infuse fresh equity capital of INR 120 crore into Prime Focus at INR 52 per share, through a preferential allotment, aggregating INR 240 crore. The equity proceeds will be used to fund the recent merger of Double Negative with PFW. As part of the transaction, the India and overseas operations of RMW’s Film and Media Services business, which has shown a significant turnaround towards profitability in the last few quarters, will be combined with PFL through a slump sale. The net consideration will be paid in the form of fresh equity shares of PFL valued at INR 52 per share. Post the preferential allotment and the business combination as above, the fully diluted shareholding of the promoters of PFL will be 33.5%, while RMW will be at 30.2%. The promoters of PFL and RMW simultaneously also announced the mandatory open offer in Prime Focus, to the extent of 26% of the fully diluted share capital of PFL, at INR 52 per share, in compliance with applicable SEBI rules and regulations. 30% stake in renowned Hollywood VFX house, Digital Domain, widely acclaimed for its award winning VFX work on Titanic and The Curious Case of Benjamin Button etc. 100% ownership of Los Angeles-based digital film restoration firm, Lowry Digital, an Oscar winner for Scientific and Technical Achievement in 2012. EY India was the exclusive Advisor to Reliance MediaWorks for the transaction, and Centrum Capital was the exclusive Advisor to Prime Focus.